GasBuddy makes it easy to see where refueling will cost you less. It’s road trip season, and that means gas prices can have a big impact on your vacation. Sometimes what seems like a decent gas price is actually a ripoff because you don’t know about the local station around the corner that’s selling fuel for far less. If you want to get the best gas price, use GasBuddy for iPhone. The app shows you where all the nearby gas stations are. Better still, GasBuddy helps you find the best prices on gas, wherever you are. GasBuddy is a crowd-sourced mapping app for iPhone. It is designed to show you nearby gas stations, complete with user-submitted (and user-verified) prices for fuel. This allows you to get gasoline for the best price. 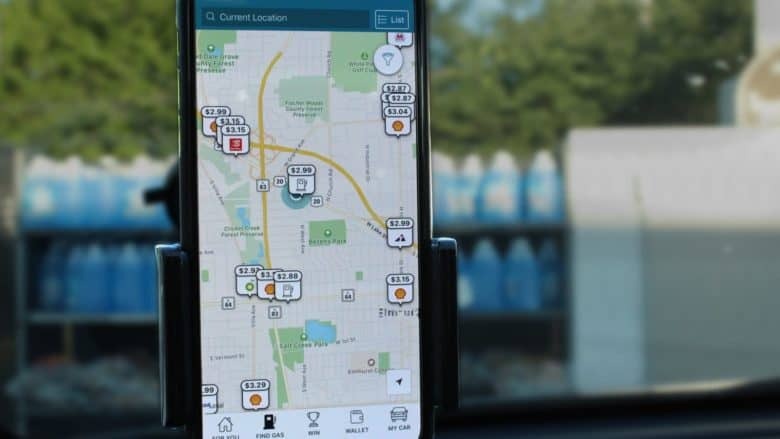 GasBuddy can also connect to Apple Maps or Google Maps, allowing you to send directions to your mapping app of choice. Using GasBuddy on a road trip can be a lifesaver. When the low-fuel light comes on, not knowing how far away the next truck stop (or useful exit) is can be stressful. Having an app tell you how far away the next gas station is, or which station at the next exit has the best price, can be a huge relief. GasBuddy is also great for checking out amenities available at various stops. This comes in handy when trying to plan out road trip meals, add air to a tire, or simply find a 24-hour location. The GasBuddy amenities area provides quick, clear information about what’s available at various stops, helping you make your pit stops ultra-productive. With GasBuddy, you can know how much refueling will cost and what else the stop has to offer. The final great feature of the app is price alerts. 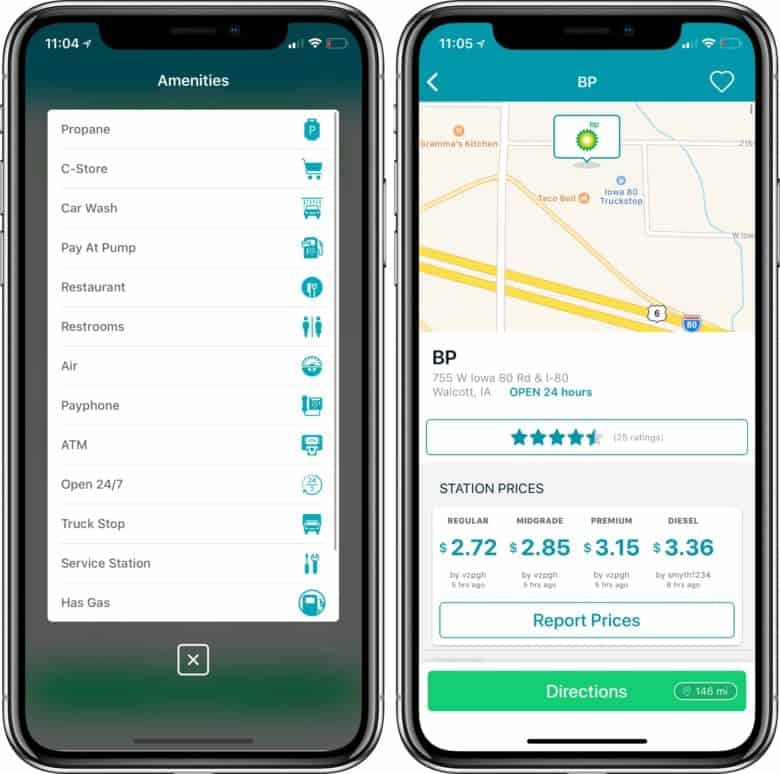 If GasBuddy detects a trend that’s likely to increase fuel costs by 10 cents per gallon, the app will let you know in advance. These alerts can help you know when it’s best to buy gas, even when you’re not on a road trip. If you spend any significant amount of time in the car, you’ll want GasBuddy. The app is also great for people looking to maximize efficiency on road trips or work travel. If you like saving money — and who doesn’t? — GasBuddy is the best road trip app for finding fuel stations and getting the best price on every fill-up. Want more essential iOS app reviews? Check out our ongoing series, 50 Essential iOS Apps.